Time to sort out an intake for the Roadster. I'm a big fan of induction growl noise, I think it really adds to the sportscar experience. Mazda clearly thought so too as they added a special extra resonance chamber to introduce more induction sound into the cabin as part of the NC's facelift. You can see the extra pipework highlighted in red in the picture below. Anyway, I guess the point I am trying to make is induction sound is good. Cold air feeds and washable air filters are also good. I want both, so what are my options? Well there is a Mazdaspeed branded intake setup which is basically the same as the one by AEM. 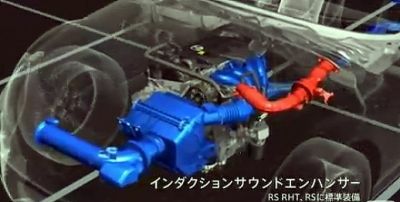 Both feature a long intake length and position the filter in the lower part of the front bumper for maximum fresh air. Racing Beat have a nice intake that features an air scoop and long thin K&N filter. Track Dog Racing also have an intake, their version uses a short pipe paired with a K&N filter that sits inside the engine bay. Alternatively, Beatrush and Nopro produce cold air boxes that fit in place of the standard box. 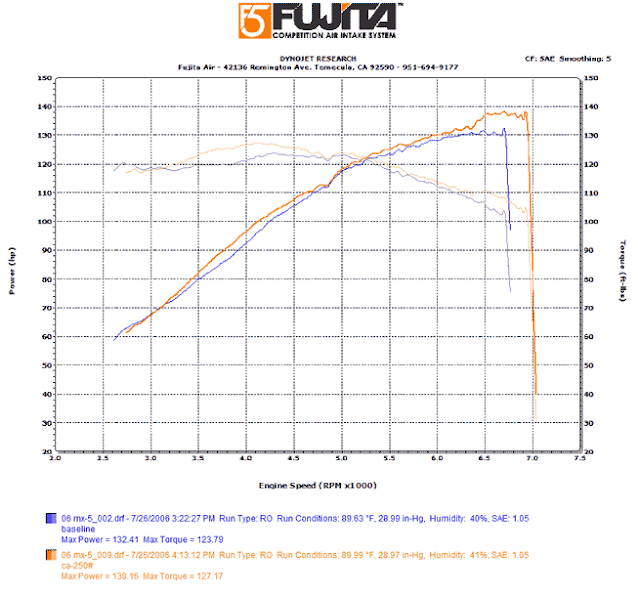 The Fujita F5 follows a similar concept as the AEM/Mazdaspeed using a non-oiled washable filter and positions it on a slightly shorter, straighter path on the opposite side of the bumper. In case you wondered what's in a name, it likely comes from the Fujita Scale used to measure tornado ferocity, F5 being the most severe and bringing total destruction. Remember kids - do not underestimate the power of marketing, clearly this induction setup has the power of a storm behind it (maybe). Now then, let's open it up and take a look! The quality of the kit seems good, everything seems to be present and correct. Fitting will require the removal of the front bumper so my plan is to fit this around the time I am doing the front lip spoiler.